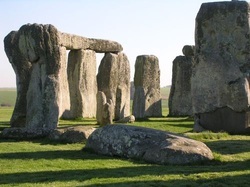 iTours International offers tours of a variety of landmarks and destinations around the South West of the United Kingdom. These can be taken as stand-alone or incorporated into an English Language Course. and interests to include a wide variety of sights and landmarks as well as more "off the beaten track" destinations and local "gems". Bath and the surrounding area is brimming with things to see and do. Designated by UNESCO as a World Heritage Site, Bath presents some of the finest architectural sights in Europe such as the Royal Crescent, the Circus and Pulteney Bridge alongside a diverse collection of museums and attractions including the Roman Baths, Jane Austen Centre and Thermae Bath Spa. Within the Cathedral Close you’ll find Arundells, Mompesson House, The Rifles Military Museum and the award-winning Salisbury Museum with its new Wessex Gallery. Set in rural Wiltshire, Lacock village is famous for its picturesque streets, historic buildings and more recently as a TV and film location (including Harry Potter!). The Abbey, located at the heart of the village within its own woodland grounds, is a quirky country house of various architectural styles, built upon the foundations of a former nunnery. On your visit you can discover the history of the Abbey and newly opened rooms, take a walk in the grounds and enjoy spring bulbs, summer borders and the greenhouse. 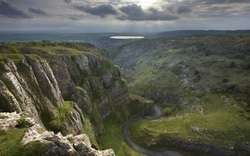 Bristol has several amazing sights to see during your visit to this magical and historic city. From engineering masterpieces like the iconic Clifton Suspension Bridge and Brunel’s ss Great Britain to Bristol’s historic churches and cathedrals. The history of Wells goes right back to Roman times when we know that there was a settlement, probably because of the springs that bubble up here. Wells is the smallest city in England with about 12,000 inhabitants. It can call itself a city because of the famous 13th century Cathedral. It remains remarkably unspoilt and has many other historic buildings . The Wells Market Place, with lively markets twice a week, the narrow streets and an eclectic mix of building styles all reflect on the continuing development of the town throughout the ages. heritage attraction. It stands in the grounds of the magnificent St Fagans Castle, a late 16th-century manor house donated to the people of Wales by the Earl of Plymouth. 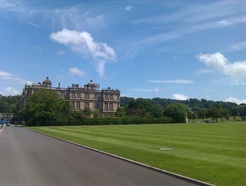 Britain and one of the most beautiful stately homes open to the public. 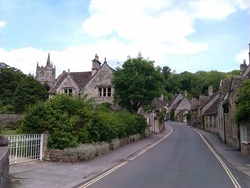 Castle Combe has been called 'The Prettiest Village in England' ; visitors have been coming to enjoy its charms for at least a century and the small street leading from the Market Cross down to the By Brook is as picturesque today as it ever was.